ABOUT OUR GIFT SHOP in Marquette, Michigan. 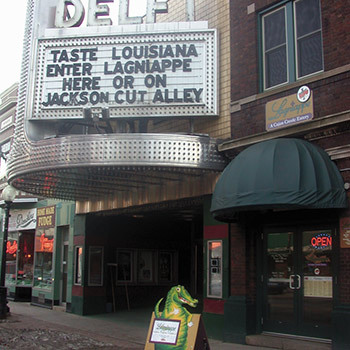 By now you’ve heard of Lagniappe, Downtown Marquette’s distinctive Southern Eatery featuring authentic cuisine; however, did you know that the popular restaurant has expanded to include a retail shop? That’s right! 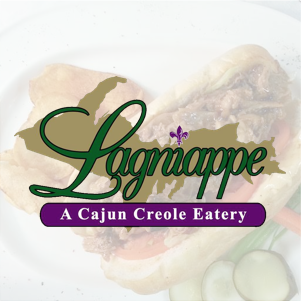 Lagniappe opened the doors to The Gris Gris Specialty Shop in October, 2009 at 143 West Washington Street, directly above their Southern style bistro. The opening of the shop fulfilled a plan conceptualized when Lagniappe acquired the open retail space in 2008. The vision for the space was two-fold: the back would be an expanded kitchen area, with the front portion becoming a retail space. 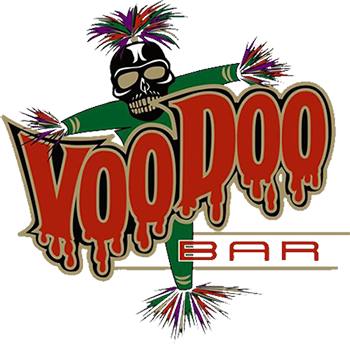 Gris Gris (pronounced gree-gree) is voodoo terminology of African origin, referring to a small bag in which items of positive, lucky or spell in nature are placed. Visit the shop and you will undoubtedly find a little piece of Louisiana to fill your bag and take home with you, be it with meat, sauces, spices, or unique gift items. 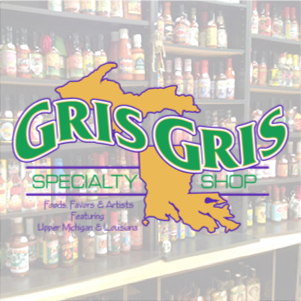 The Gris Gris Specialty Shop offers Lagniappe’s in-house specialty meats, including Andouille, Chaurice, Boudin, Tasso and smoked sausage, in addition to packaged foods, over 120 different hot sauces and a variety of spices. 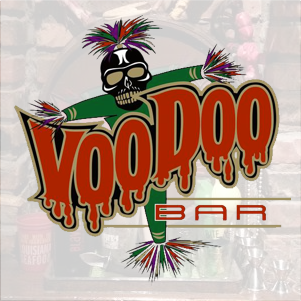 Other specialty items, including hand-made voodoo dolls, Louisiana music, Lagniappe apparel, cajun artwork, Mardi Gras beads, Mardi Gras masks, party favors, gift items and collectibles featuring Louisiana and the U.P. are also available. Chef and Proprietor, Don Durley, is passionate about bringing a bit of the bayou to Upper Michigan. In fact, a local wood and metal artist constructed a shelving system for the center of the shop designed to look like a Mississippi paddleboat. 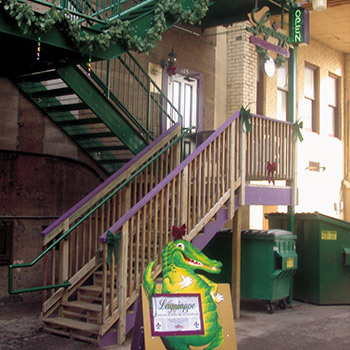 “Each trip to Louisiana brings new contacts and resources to allow the shop to grow and be a little something extra for Downtown Marquette. 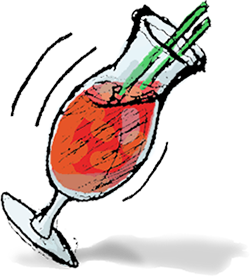 Indeed, The Gris Gris Specialty Shop is a little “lagniappe” (pronounced lan-yap) of its own, which, incidentally, is a Cajun word meaning, “a little something extra” or “an unexpected nice surprise”.